Do you believe that if God still works miracles, He only works them through a select group of people-not you? Then it's time to discover the truth. You were created to help others experience personal miracles on a regular basis. You were born to accomplish God's work by His power. 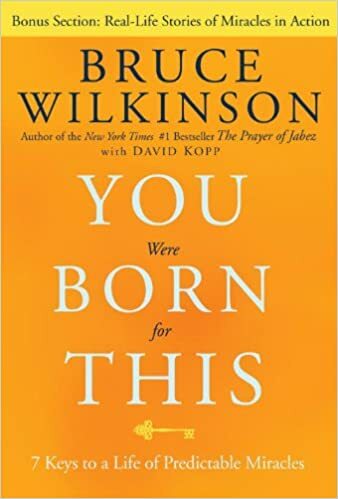 In You Were Born for This, Bruce Wilkinson explores life-changing questions such as: Why do so few people experience miracles? What does it mean to be sent on a miracle mission? And, how can anyone partner with God to deliver miracles to others? You will learn how to make a lifestyle of predictable miracles your new normal. Because when people ask God to accomplish the miraculous through them, things change. Relationships. Finances. Families. Spiritual lives. Soon the extraordinary becomes the everyday, and God showing up in supernatural ways is no longer something to wish for-it is the life God intended you to live.